If a friend of loved one has been arrested and taken into custody in Los Angeles County at Men’s Central Jail and you want to have them released from custody quickly, you can call and speak with a live, licensed bail bondsman at Adventure Bail Bonds. Call us toll-free, 855-414-BAIL (2245), any time of the day or night. We offer no-cost consultations 24 hours a day. We know the legal system in Los Angeles and will work quickly for their fastest release. Men’s Central is the largest jail in the world, housing up to 5,000 inmates at one time. Those held at Men’s Central include both pre-and post-trial inmates, as well as those who are currently awaiting their arraignment in court. 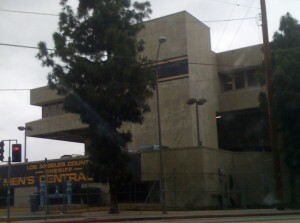 Men’s Central Jail (MCJ) is located in downtown Los Angeles. Its purpose is to provide security for sentenced and high security, pre-trial inmates. Along the Inmate Reception Center (IRC), the Twin Towers Correctional Facility (TTCF), and the Central Jail Arraignment Courts (CJAC), all located on Bauchet Street in Los Angeles, which makes up the Central Regional Justice Center. We have a long standing history of work with Men’s Central Jail. If you have any questions or want to get the bail bond process started, call us any time of day or night at 855-414-2245 and speak with a licensed bail bondsman. Always remember to adhere to the official rules if visiting an inmate at Men’s Central Jail. They are there not only for your safety, but for the safety of the inmates as well. Parking is available at the visitor parking structure for $8.00. Personal belongings will need to be kept in a storage locker outside of the visitors area. Walk-ins will not accepted after 2pm. To begin the bail bond process, you can call and speak directly with a licensed bail agent, who will ask you a few short questions to locate your friend or loved one in custody and verify their eligibility for bail. This part of the process is typically pretty quick, however, if you want it to move even faster, you can have the name of the defendant, their birth date as well as the date and time of arrest ready before you call. If not, that’s perfectly fine, we can help get the required information together. Once the bail bond application and contract have been completed, and payment for the bond has been arranged, we will dispatch an agent directly to the jail to post the bond. We accept all major credit cards including: Master Card, Discover, American Express and Visa. Aside from that, it is possible to pay with cash, check (upon pre-approval), money order, bank account transfer or money wire. A bail bond isn’t the only way someone can be released from jail. There are other options for release from custody. It is also possible to be cited out, released on own recognizance (O.R. ), a property bond, or a cash bond. Whatever the case may be, the first step in seeing your friend or loved one released from custody is to give us a call and speak with one of our friendly bail bondsmen who can help answer all of your questions. Call us any time of day or night if someone you care for is in custody at Men’s Central Jail in Los Angeles. Trust us to always be available to help you through this difficult time. We can be reached toll-free, nationwide, 24 hours a day, at 855-414-BAIL (2245).